The most famous laundry brands these days tend to only offer three options for cleaning our clothes – liquid, powder or tablets. These products from the biggest brands don’t tend to be eco-friendly, or they are made with harsh chemicals that can really irritate our skin. Here at Ethical Superstore, we want you to be able to find new, alternative household products that can help you create the most eco-friendly household you possibly can, and one such product is Soap nuts. Soap nuts grow on the sapindus tree and have been around for thousands of years, and they are natural surfactants, which makes them ideal for cleaning! When you use them in your washing machine, they create a mild foam that is gentle to your clothes and won’t leave any harsh chemical residues. 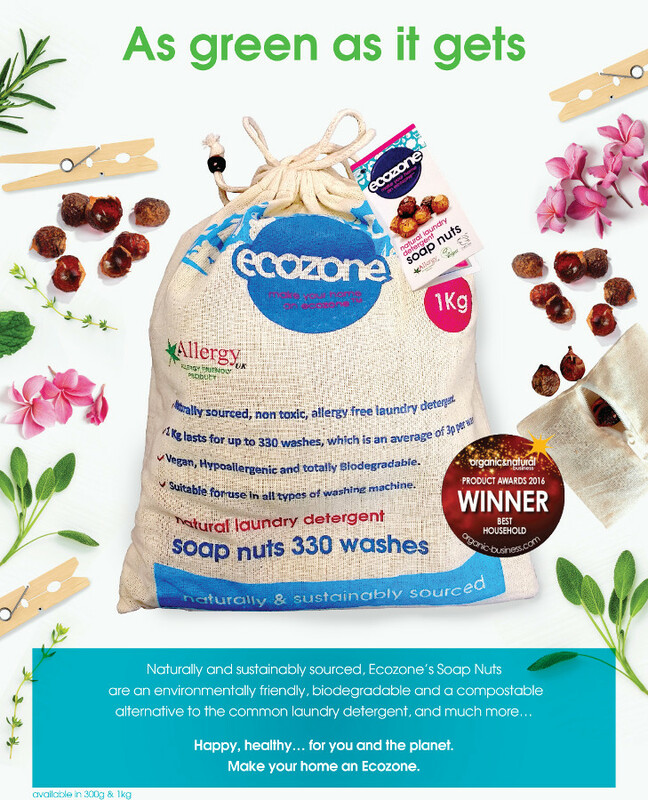 At the moment, we offer a 1kg bag of Soap nuts from Ecozone, one of the leading eco-friendly household brand. A 1kg bag lasts up to 330 washes, so at £11.95 per kg that’s only around 3p per wash – saving you a bit of money too. Soap nuts effectively remove the dirt from your clothes whilst remaining eco-friendly as they are completely biodegradable, plus they are suitable for a vegan lifestyle and so can be used by everyone. They are non-toxic and won’t pollute any water systems at all! Basically, Soap Nuts are great, but you don’t just have to take our word for it. Ecozone Soap Nuts have recently won the Organic & Natural Business Awards for Best Household Product 2016. Plus, they are so easy to use. 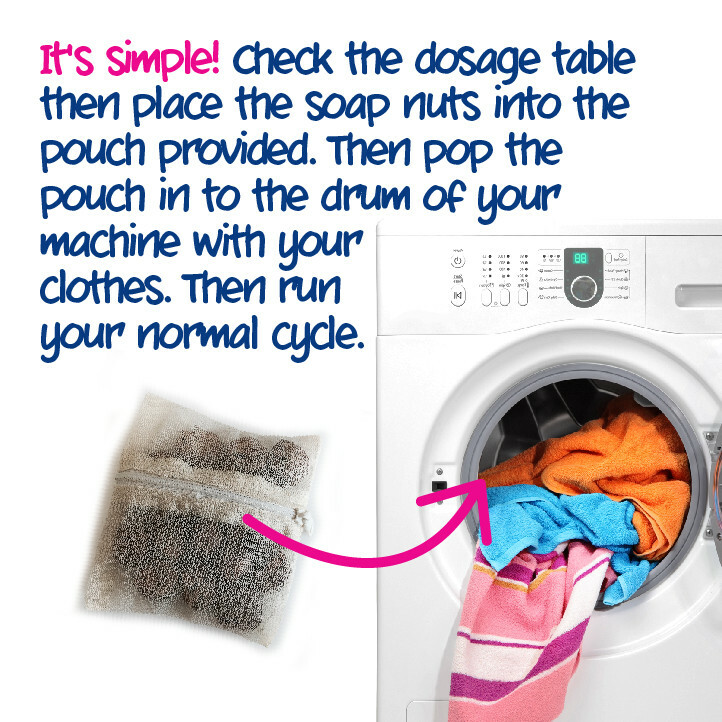 They come with a special pouch which you fill according to the dosage table, and then pop it into the drum with your washing. Simple! Have you used Soap Nuts from Ecozone? Let us know what you think in the comments below.